Dr. Sharon is Owner of Perfect Time SHP LLC, Creator & Host of Write the Book Now! Interview & Podcast Show, I am Dr. Sharon Podcast & GRIND Entrepreneur Network Spotlight Podcast! Dr. Sharon H. Porter as a guest on podcast interviews. The GRIND Entrepreneur Network™ presents the It Matters Series: Experts provide important tips for their specific industry! The GRIND Entrepreneur Network Spotlight Podcast highlights and features entrepreneurs with an emphasis on the Parallelpreneur. Host and Creator, Dr. Sharon H. Porter interviews entrepreneurs from across the country. Entrepreneurs shares information about their business and brand. I am Dr. Sharon is a podcast that features interviews of contributing authors of collaboration projects compiled by Dr. Sharon H. Porter. Dr. Sharon specializes in publishing and compiling book anthologies. Her first anthology was Next In Line to Lead: The Voice of the Assistant Principal. She is currently preparing to release Class ... See More of 2017 What's Next and Women Who Lead Anthology: Extraordinary Women With Extraordinary Achievements. 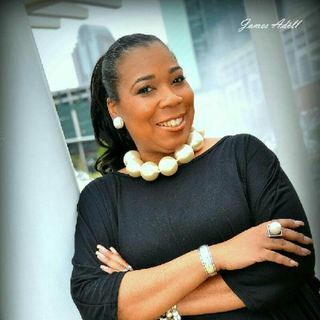 Dr. Sharon is a professional licensed educator, CEO of Perfect Time SHP LLC, Coaching and Consulting Firm, Founder of the GRIND Entrepreneur Network, Creator and Host of the GRIND Entrepreneur Network Spotlight Podcast, and Write the Book Now! Interview and Podcast. Write the Book Now LIVE!